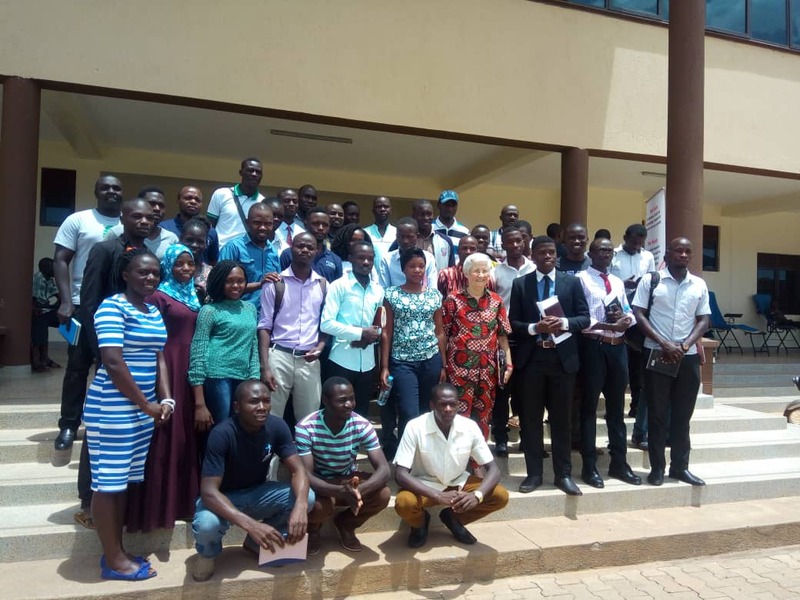 The entire medical fraternity and students of Gulu University organised the first memorial lecture to commemorate their fallen colleague who left them a year ago. 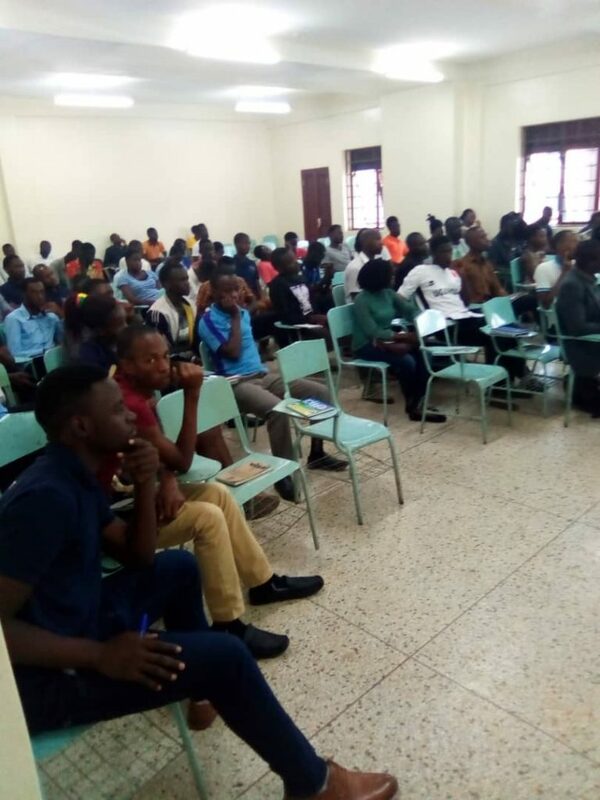 On Saturday 9th March 2019, the students gathered at new multipurpose laboratory block for the memorial lecture. The late Kironde Joseph was a social, hardworking young man who was a year three medical student at the time, in his first semester. Kironde was described as great cheerful person who made many friends. 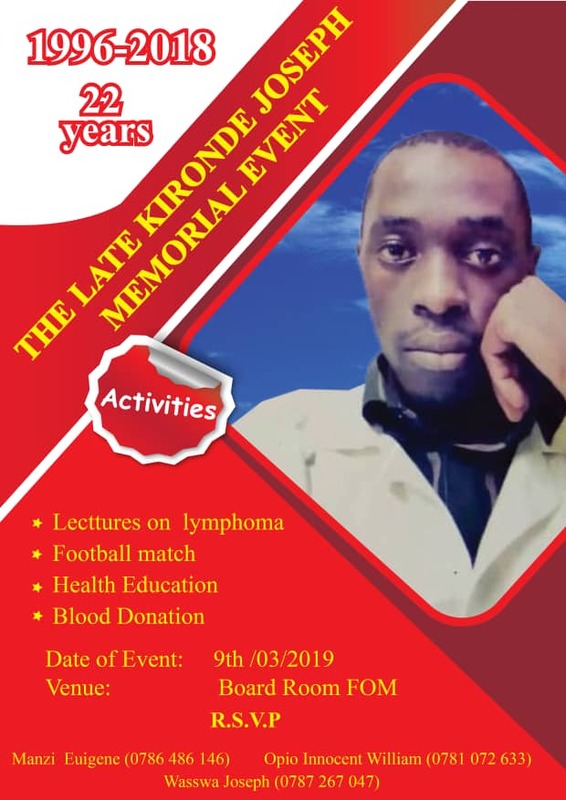 He succumbed to cancer called Lymphoma on 19th February 2018 at the Uganda Cancer Institute Mulago. Students from the faculty of medicine organized a number of activities to commemorate their colleague. They organized a memorial lecture on Lymphomas which was taught by Dr Abala Cathy (Pediatric Oncologist-Lacor Hospital). 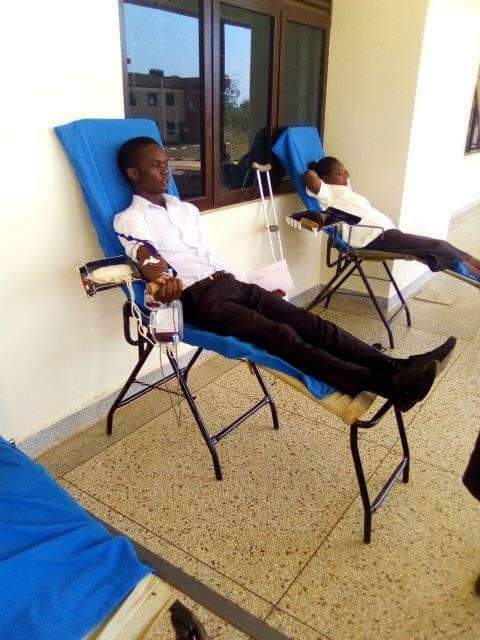 “The event targeted Gulu university students mad meant to spread awareness about Lymphomas and cancers among Gulu university students as we remember the late Kironde Joseph who succumbed to Non hogkins lymphoma”, said Waisswa, Joseph one of the organizers. 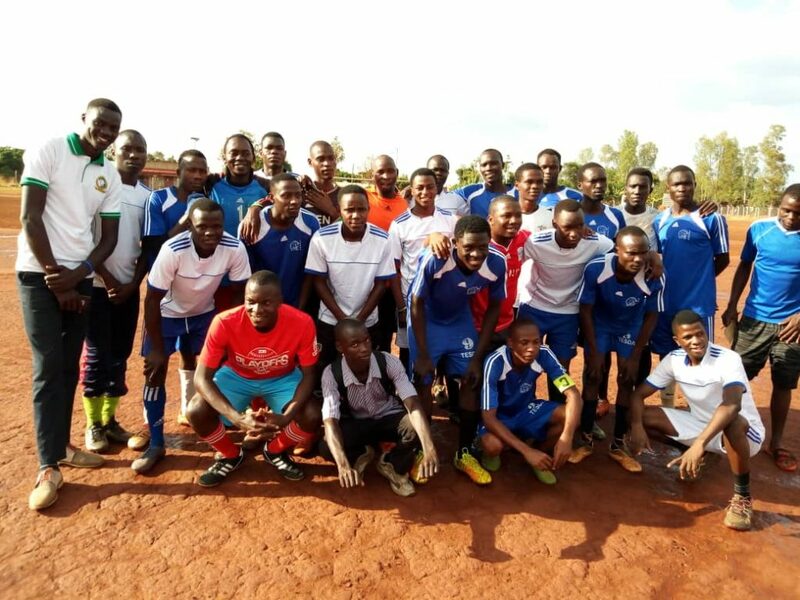 The day was packed with a number of activities including health education by Mary Ann Gleason from Lacor Hospital, blood donation and football matches between medical schools and rest of other faculties in university. The football game ended 1:1. “Thanks to the organising committee and those who made day successful. May the good lord reward you abundantly. The family of the late is appreciative for knowing that their son had friends who loved him so much”, said Waisswa Joseph.